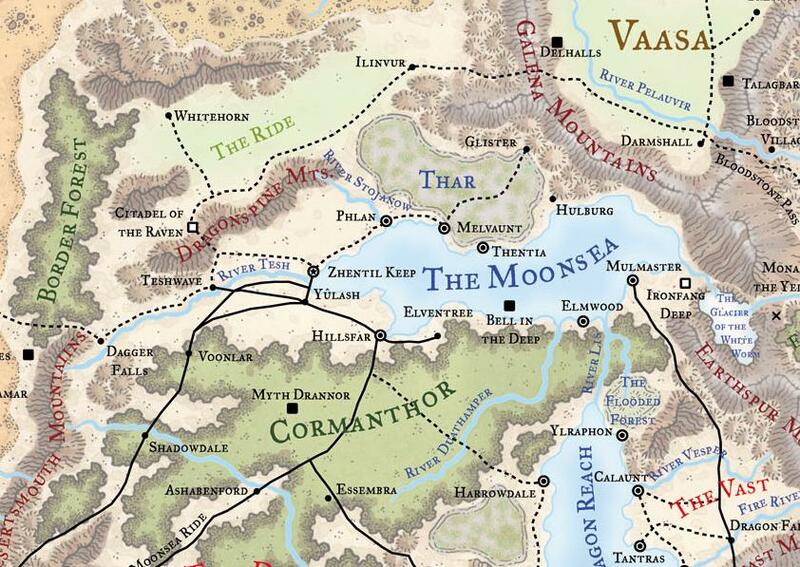 The Moonsea, also known as the Sea of Dragons, is a freshwater inland sea on the continent of Faerun, located some distance east of the Sword Coast. It is a cold, clear, deep lake, with waters the colour of dark amethyst. It features frequent storms and turbulence. It is a historical breeding ground for dragons (thus giving it is pseudonym, the Sea of Dragons). Its waters eventually feed into the Sea of Fallen Stars. The City of Phlan is located on its northern shore.